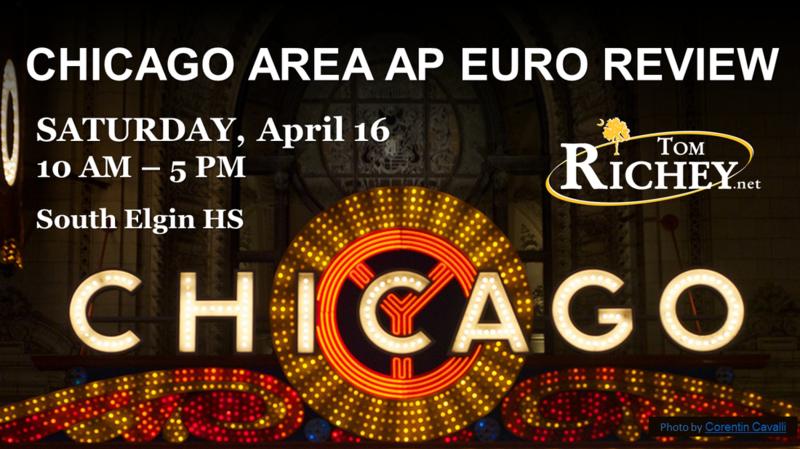 On April 16, I will be traveling to the Chicago to lead a review session for Chicago area AP European History students at South Elgin High School. All proceeds raised beyond expenses will be donated to the West Suburban Humane Society in memory of Kristin Aye-Guerrero. Please direct additional questions to Carrie Crowe, SEHS Divisional Chair for Social Studies: carriecrowe@u-46.org.